Colour floor plan drawings are a great way to define rooms instantly compared to standard black and white drawings. A colour floor plan can be customised to your taste, such a soft blue for the bathroom or a warm yellow for the bedrooms. 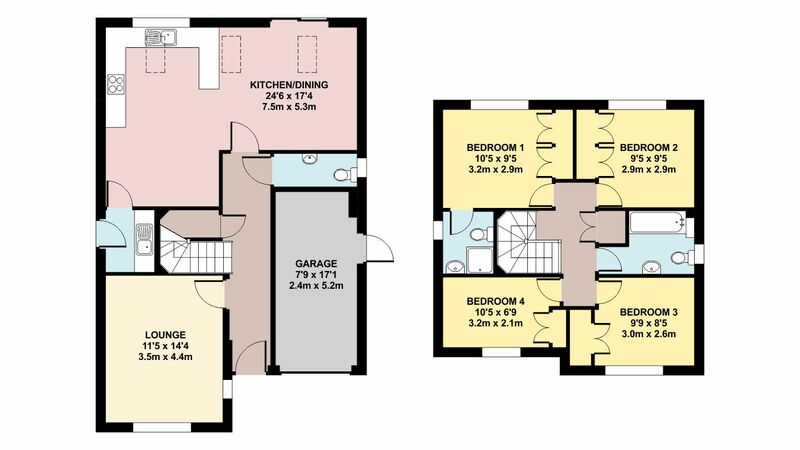 Many estate agents, architects and even developers use colour floor plan drawings as a key selling tool to make floor plans easy to understand and a pleasure to read. How long take it take to do a colour floor plan? Colour floor plans are relatively quick to process. If you have drawings in AutoCAD or PDF format, we can convert these to a suitable format and start colouring in immediately. If you are having difficulty to convert to a suitable format, do not worry, we can help you. 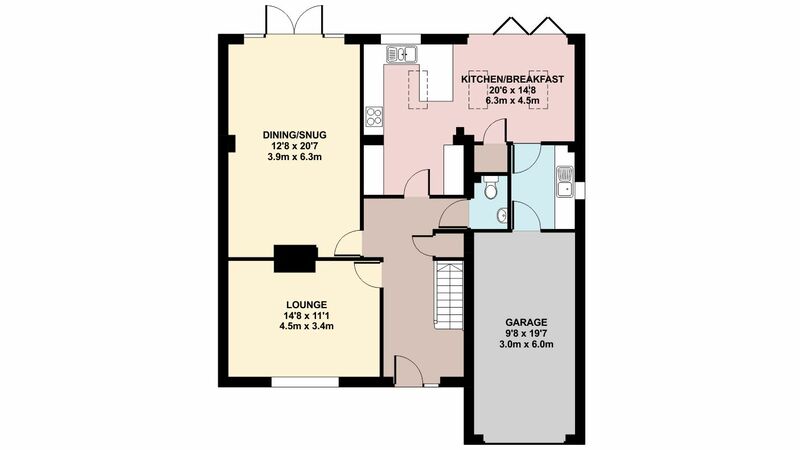 How much does a colour floor plan drawing cost? 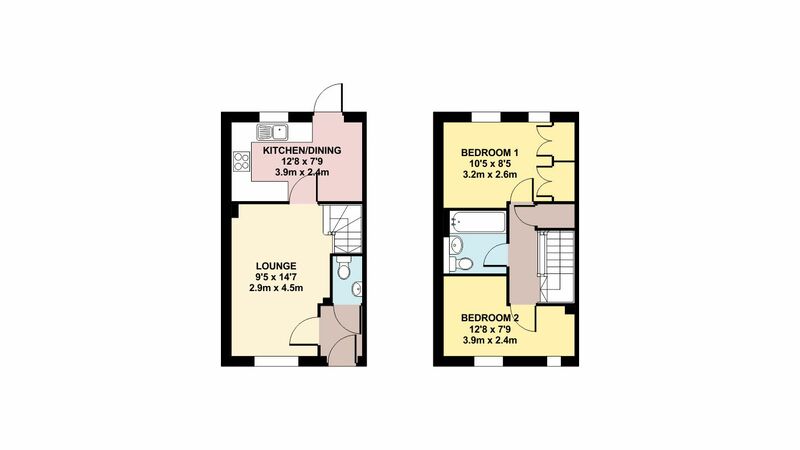 A simple colour floor plans can start from £49. If you require a company logo, room measurements and areas, furniture, please contact us below for a quick quotation. 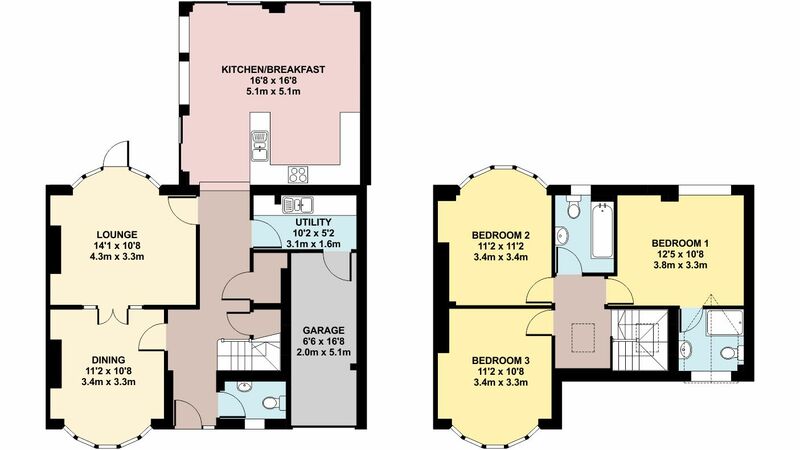 If you are an estate agent or developer looking for more than one colour floor plan drawing, contact us for a quote and see what price we can arrange. 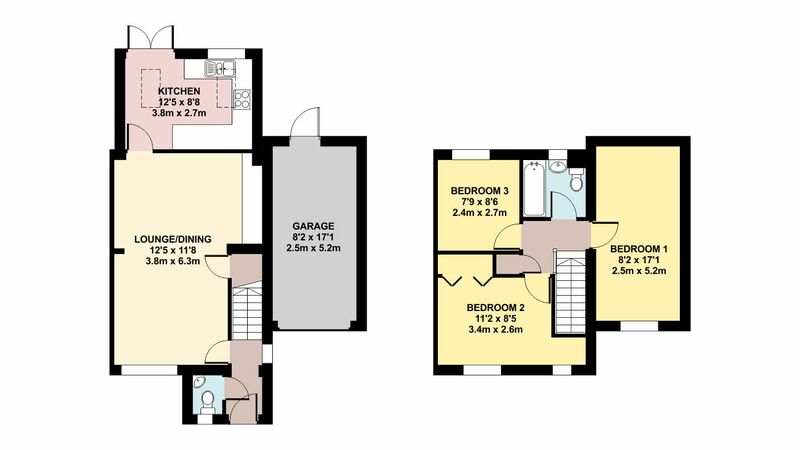 What is the process involved for a colour floor plan drawing? If you require a colour floor plan drawing, you can email the drawings in either CAD or PDF format. We can then convert the drawings to a suitable format and scale to an appropriate size to fit on to specific paper (usually 1:100 or 1:200). If you require annotation such as room names, areas or dimensions, we will be happy to oblige. Colour floor plan drawing illustrating the ground and first floor plans of an existing two storey house. The soft colours used are to easily define each room and include key dimensions in both metric and imperial. Colour floor plan drawing illustrating the ground floor plan of a bungalow with planning approval for a rear extension for a larger open plan kitchen and utility areas. 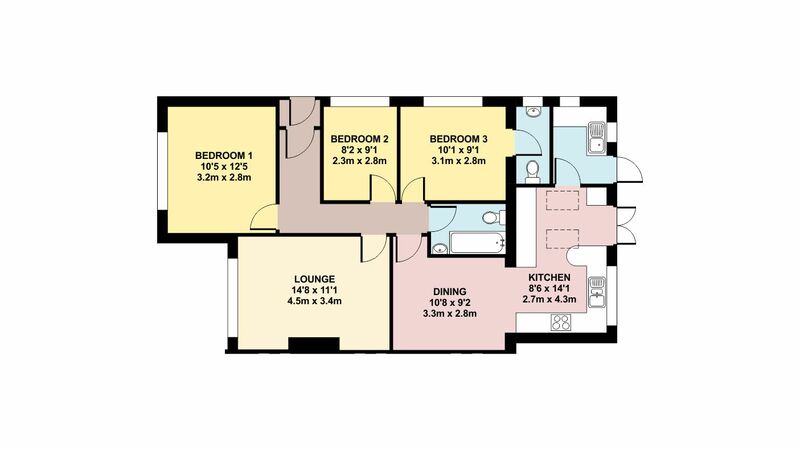 The colour floor plan drawing is used by estate agents for marketing in their flyers and company websites to potential buyers. Colour floor plan drawing illustrating the ground floor plan of a two storey house with planning approval for a single storey rear extension for a larger kitchen. Colour floor plan drawing illustrating planning approval for a two storey side extension to accomodate a new garage and utility at ground floor while at first floor, a new master bedroom with en-suite bathroom and dressing area. Colour floor plan drawing illustrating planning approval for a single storey rear extension to accomodate a larger open plan kitchen, dining and family areas. What other uses are there for a colour floor plan drawing? It is not uncommon that amendments may occur down the line such as changes to the floor plan drawings. We have a great selection of tools to ensure the design is kept up-to-date avoiding abortive time.